This is where we shine. Our team prides itself in having the best knowledge and products in the industry to help prevent and treat the most typical (and some that are not so typical) athletic and life injuries. We continually train ourselves so that we are familiar with all ailments and can offer suggestions to help you. Most of the tools we offer require education on how to use them, and we are more than happy to take the time to explain and demonstrate them for you. We have a passion for educating others on injury prevention and treatment, so let our FIT experts walk you through the differences in these products and help you find the right FIT for your fitness needs. Here are a few of our favorite tools to use! Foot Rubz are an amazing little tool. There are many uses for this guy but our favorite is for Plantar Fasciitis. Set it down and roll your foot across the top over and over. Its more firm than a tennis ball and smaller too. This helps really dig into the fascia of the foot and get the blood flowing faster. The nubs are there to help dig in as well. Every time you roll forward and back you are breaking up scar tissue and helping to release, loosen, and warm up the tendon. This means it can be used at all times of the day. As soon as you get up out of bed, roll on it to warm up. 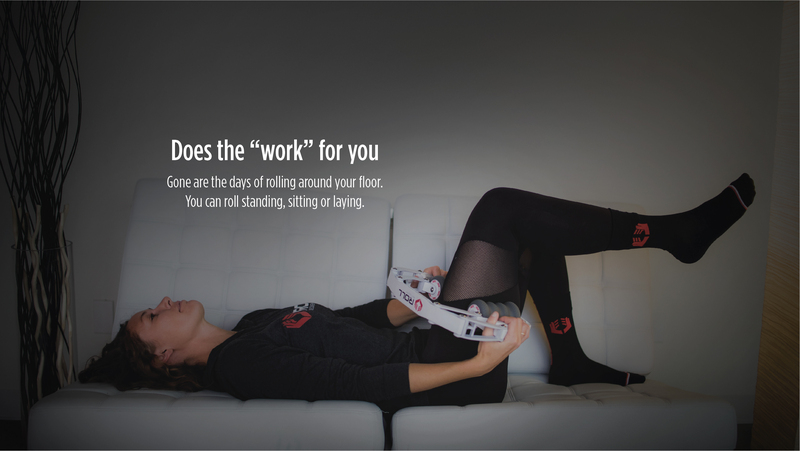 Work killing your feet? Bring Foot Rubz with you to release and relieve tension on your break or at the desk. Tired from a long day? You can roll your foot on this while watching TV or reading a book. It's a must have for those that struggle with Plantar Fasciitis or tired feet. The Addaday Stick is one of the most versatile products on the market. Calves, Quads, Hamstrings, Back, Neck, the Addaday Stick has you covered. Made with a stainless steel bar in the middle, the Addaday Stick is sure to be able to get the deepest knots loosened up. This is unlike any other rolling pin you've ever tried. Rather than having a flat rolling surface, the Addaday Stick is made with rounded gears. These gears efficiently loosen up muscles and also move more blood and oxygen through the targeted area faster than before. Come in and ask a FIT-Specialist to show you all the uses for this amazing product. TriggerPoint has created a wide variety of different products to really pinpoint different spots of your body. One of our favorites is the GRID. It's a foam roller that takes it up a notch. It has a plastic pipe interior and a soft foam exterior. These two materials contrasting with each other are designed to mimic the human hand. Plastic = Bone, Foam = Tissue & Skin. The roller can be used virtually anywhere on the body to help loosen up muscles and has become an essential part of athletes and workout enthusiasts alike. Come by and check out all the products that TriggerPoint has to offer and learn different ways to prevent and treat injuries. Also, TriggerPoint is awesome at getting you instructional videos and making sure you are getting what you need done, done right. Check out this introduction below to some of their videos and learn why Performance Therapy is so important. The new R-8 Recovery provides all the force built in for a deep tissue massage. It breaks up muscle adhesions, improves blood circulation and reduces inflammation. The R-8 Recovery Roll is not just for runners, all athletes and non-athletes can reap its benefits. Come on in to Fleet Feet Little Rock and try it today. No rolling around on the floor required. *Stop your work-out whenever you feel acute pain. If you are experiencing either recurrent or chronic pain, then we encourage you either to consult with your physician or to ask a member of the Fleet Feet Little Rock team for a medical referral. It is important to seek the advice of a medical professional sooner rather than later.